Noah Yuval Harari’s books Sapiens and Homo Deus explore humankind’s growth in tandem with our use of technology. Harari says that Sapiens shows us where we have come from, and Homo Deus shows us where we are going. But he skipped the tricky bit. There is a missing link – ‘Techno Sapiens’ – or where we are now. 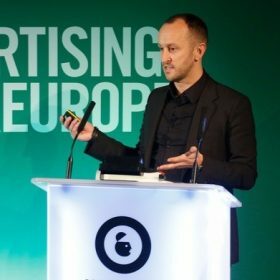 As the UK’s Institute of Practitioners in Advertising (IPA) today calls for a moratorium on micro-targeted political ads, agencies and brands worldwide are wrestling with the issues of humankind meets machines. Marketers must get hold of technology now, to use it empathetically, ethically and effectively in future. A sense of decency and a fair go that dominates UK and Aussie culture and successful creative campaigns. A serious concern that our current use of technology respects little of what we value above. We need to get hold of technology for sure, but where is the root of the problem? Cambridge Analytica? Facebook? That’s a start but we need to look deeper – it’s a people problem. But let’s cut the crap and be adult about this for a minute. Just as humankind explored every facet of what’s possible in biology, so it will be with technology. Yesterday’s NSA scandal, becomes today’s Facebook Scandal, and will no doubt be tomorrow’s Amazon Echo scandal. In thrall of all our tech toys, it’s inevitable humankind’s grasp will exceed its reach. But we will reach. It’s human nature. It’s also entirely right and appropriate that collective culture obliges us to realise some possibilities, while forbidding others in future. While CA was found guilty with Facebook a henchman by association, we are all complicit in being too free with our data online. We sweep permissions aside – ironically to get to that psychology quiz to find out how well balanced we are. It’s what is then done with that data that is the critical point for collective debate and action. I’d argue the Cambridge Analytica scandal actually has some positives. It was significant and serious enough to wake up the world on the need to look at where we are. With the great power of ‘Techno Sapiens’ comes great responsibility. The challenge now is what do we do about it? In global terms, this means redressing how culture permits the use of the data people share online by intermediaries and companies. In marketing terms, we’ve equally got to get to grips with how this big stuff impacts what we do day-to-day. It’s great to see thought-leaders like the IPA get out in front of this this debate with a call to ban micro-targeted political ads. They are also grown up enough to not make this a backlash on micro-targeting per se. If where we have been is human vs. machine, we now need to consider humane + machine. Empathy is a critical mind-set to change to get to where we need to be. Or to paraphrase that wellspring of philosophical wisdom – Jurassic Park – ‘just because we could, doesn’t mean that we should.’ As Zuckerberg recently said from his Congressional naughty step, ‘we have to start about thinking about how we can use these technological tools for good’. We need to move beyond dark patterns of triggering a knee-jerk response and look at how we can use tools to optimise choices. This is key to long-term brand value verus short-term spikes. The world has had two serious wake up calls on data exploitation. Unethical use of audience data can seriously erode shareholder value. These two words are the language of proper corporate response. Smart brands and agencies will move ahead of what’s required and step up to new regulatory benchmarks such as Europe’s GDPR. GDPR could well be adopted further afield to give people better protection and allow them to make more informed choices about how their data is and isn’t used in particular. There needs to be a wholesale move away from murky digital practices. Based on what I am hearing across Sydney, agencies and brands are sensitive to increased transparency and genuine qual versus quant measures on digital activation. Unilever’s Keith Weed recently describing social media as “little better than a swamp” particularly underscores this. It’s great to see the likes of Havas moving towards greater transparency in the programmatic buying space and also new media contender Truth using block chain to give complete understanding of budget allocation versus digital media spend. Overall, we while where we have been and where we are going next is all very educational and exciting, but we must deal with the missing link – where we are now. If we can move beyond the distraction of today’s headlines and see this as a wider function of humanity’s maturation with tech we can start to make progress. Ultimately, finding the magic in the machines tomorrow, hinges on our ability to really get to grips with this today. This comes down to changing practice and refocusing on empathy, ethics and effectiveness. Only then will we start to realise technology’s value bottom to top in marketing and more importantly for humankind.